We were pleased to have the Springfield Armory Curator, Alex, join us, sharing his vast knowledge of the Armory’s history and an understanding of how the engineering design process fueled not only the Springfield Armory’s place in the field of manufacturing and innovation in the country, but how other businesses and innovators in Western Massachusetts grew and expanded as a result of the work being done in Springfield. Alex showed us a variety of prototypes, and like a detective game, we had to figure out why a design worked and was further developed, and which were not. A coffee grinder in the stock of the rifle? A sword with an embedded whistle? A gun with revolving chamber that might blow up at any moment? Armory Ranger Scott Gausen, a fellow facilitator in the course, then had us exploring patent diagrams in a lesson about interpreting engineering drawings, and determining the notion of a patent. We then worked on our patent drawing for a flying machine. 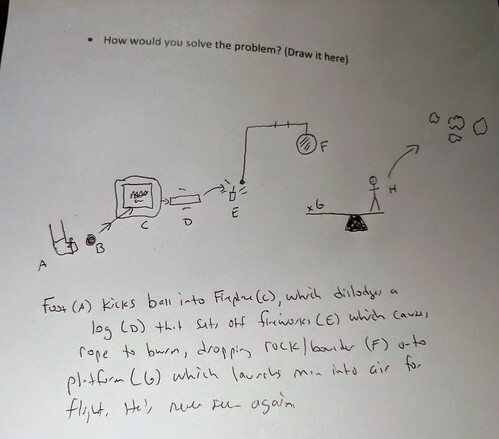 Mine became a Rube Goldberg machine that you probably should not build at home. 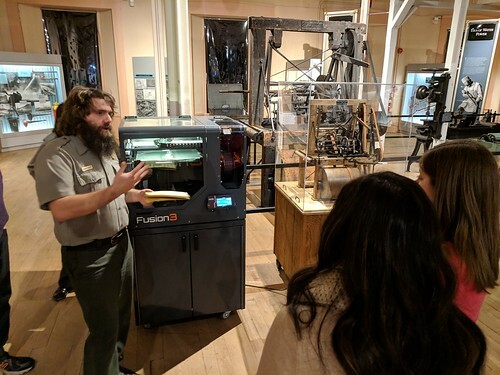 Scott then brought us down to the museum floor, where he made a connection between the innovation practices of old and the new, as he had a 3D printing machine up and running, working on a plastic part that the huge lathes behind the printer used to make. 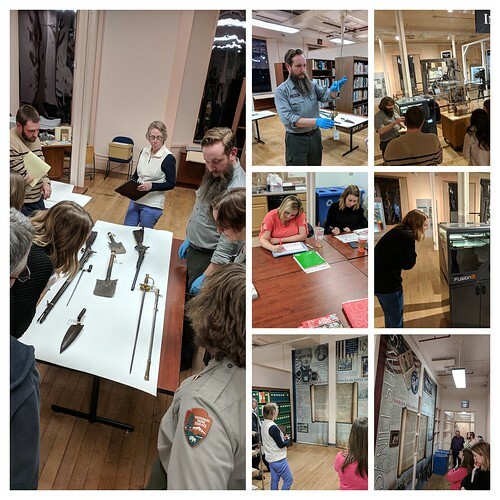 Finally, after perusing and exploring our state’s new Social Studies standards, I had our participants exploring multi-genre writing through the use of primary sources of Shays Rebellion, which was a farmer’s uprising and assault on the Springfield Armory after the Revolutionary War. 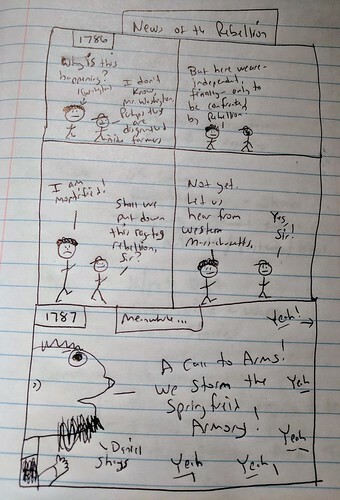 We made black-out poems, drew illustrations, wrote journal entries, made newspaper/media products, and I joined in with a rough comic, featuring George Washington and Daniel Shays. All in all, it was a great professional development session, leading us deeper into the notions of history, stories and innovation. We meet again in January as participants start to fine-tune their project ideas. This entry was posted in WMWP, Write Out. Bookmark the permalink.